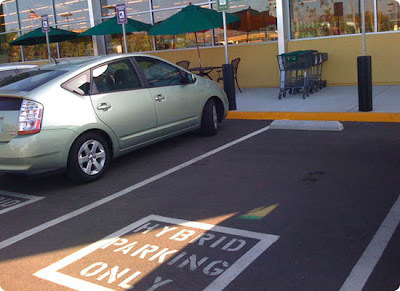 I read on trendwatching.com yesterday that IKEA are now reserving car spaces for hybrid cars. IKEA already have a good reputation for their support for the environment. And is a great example of a brand doing something green, instead of just talking about it. If you're interested, I posted last month about how some Irish brands are approaching green. And hope to come back to it again soon. Also, if sustainability is high on your radar, get along to see guest speaker John Grant at the National Marketing Conference in Dublin on Nov 5th. One of the reason why I love Ikea so much!